You’re a conscientious car owner, right? You get the oil changed, you do the scheduled maintenance…shoot, you even check the tire pressure sometimes. But how many times have you investigated whether your headlights are aligned? If you’re like most of us, you probably didn’t even know that misaligned headlights are a potential concern. But check this out: every automaker recommends a periodic headlight inspection to verify proper alignment. Why? Because misaligned headlights make it more difficult to see the road ahead, and they can also distract or even momentarily blind oncoming drivers. 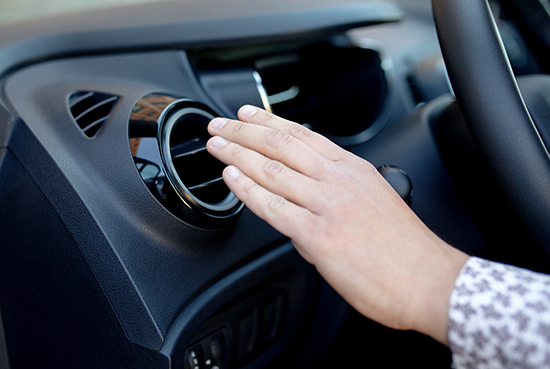 Even a misalignment of just one percent can affect your safety during nighttime driving. In other words, they’re kind of a big deal. So here’s what you need to know to align your headlights. When should I check my headlights? 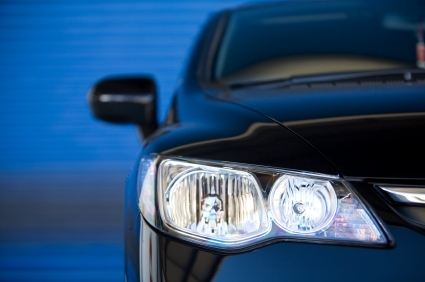 As a rule of thumb, you should check your headlight alignment once a year. It may help to think about other maintenance tasks you perform annually, like snow-tire installation or spring cleaning, and simply add a headlight check to the list. Note, however, that if your car ever sustains any kind of body damage, it’s important to check the headlights right away. More often than not, an impact of this magnitude will be enough to throw your headlights out of alignment, and not every body shop takes the time to make sure that the headlights are level. Before you attempt to level your headlights DIY-style, it's important to note that this is a quick and relatively inexpensive repair. So if DIY isn't your specialty, heading to the shop will most likely be the more painless option. How do I check my headlights? First of all, think about anything that might throw off the balance of your car and mess with the symmetry of the lights. 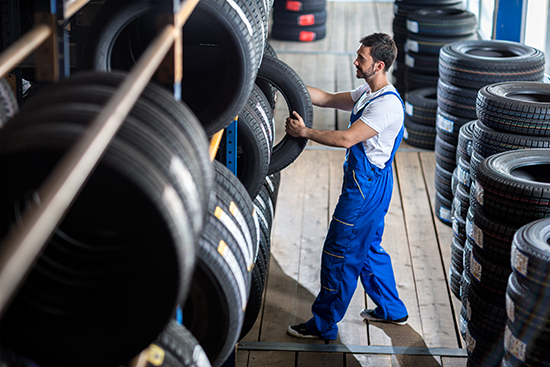 Take corrective measures by checking the tire pressure and removing heavy items from the rear of the car. Don't forget about passenger weight too. The trickiest part of the prep is finding an area with at least 25 feet of perfectly level ground - most parking lots are slanted to allow for water runoff making them poor areas for the repair. Then, pop the hood and determine whether your car’s headlights have built-in “bubble levelsâ€ next to them – you know, like the ones carpenters use on the job. If they do, you should immediately do a victory dance, because your job is almost complete; just adjust each level’s thumbwheel until the bubble’s centered, and that’s it. But if they don’t have levels, you’ve got more work to do. The next task in this case is determining what kind of tool you’ll need to adjust the headlights. Look for adjustment screws along the side of the headlight, and double-check in the owner’s manual to make sure you’ve got the right screws. A Phillips-head screwdriver will typically do the job. Next, reposition your car so that it’s parked with its nose as close to a wall as possible on level ground, and mark the center of each beam on the wall. Do it crosshairs-style with some kind of tape – one vertical strip, one horizontal strip. Then, back the car up so it’s about 25 feet away from the wall, making sure you’re still on level ground like when you started. Okay, so what are you looking for? You should notice two slanted beam fragments above the horizontal piece of tape, and that’s normal. What you’re really interested in is the horizontal blocks of light below those slanted fragments. Find the tops of the horizontal blocks – there should be one block on each side – and check to see if they are at the tape line or up to a few inches below it. If so, you’re fine, but if one or both are above the tape line, that means you’re blinding oncoming traffic and need to adjust downward. Conversely, if one or both are more than a few inches below the tape line, you need to adjust upward. You should also make sure that each beam is roughly centered on its crosshairs, though keep in mind that horizontal adjustments are rarely needed. Once you’ve got the beams pointed where they should be, you’re all set. What if that all sounds a little too complicated? Well, there’s no shame in asking your mechanic to help you out! 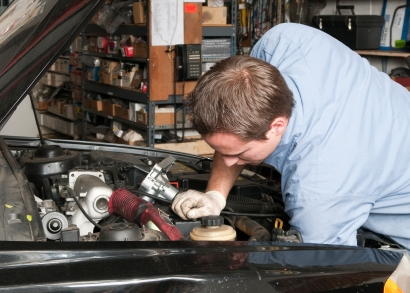 A headlight adjustment should only take an experienced technician a few minutes to perform. To ensure accuracy, many shops now use an optical aiming tool to straighten out headlights. The setup is complex, and though that means your vehicle might be worked on for closer to an hour, it results in superiour adjustment accuracy. So if you’d rather keep your hands clean, just have your technician check your lights next time you’re at the shop. It’s an easy bit of preventative maintenance that every driver should practice.